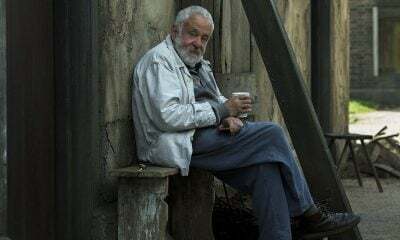 From Life is Sweet to All or Nothing, Mike Leigh’s kitchen-sink melodramas may detail the lives of the Brit lower class, but they resonate on a universal level. That’s because Leigh, like Robert Altman, recognizes the commonality of the human condition in the way we talk to one another. In Vera Drake, actress Imedla Staunton further enriches this vernacular, and like Timothy Spall in All or Nothing, she evokes the truth of human existence in the way we look at and give back to the world. Leigh is a master of contrast, brilliantly cutting back and forth between rich and poor stratas of society in an attempt to compare modes of communication within a close-knit community, and in so doing asserts that these kinds of interactions are echoes of our moral and spiritual centers. The film begins on a somewhat subversive high note. Vera (Staunton), an ordinary housewife in ‘50s England who performs abortions in between cleaning rich people’s homes, goes from apartment to apartment tidying up for friends and family before returning to her own flat for a spot of tea. This is a well-oiled machine, but despite the workmanlike precision with which she hurriedly cleans and tends to girls in need, her graciousness is always unmistakable. There’s a bit of subtext to the way she goes about this daily grind, the layers of which Leigh and Staunton peel back as the film moves along, and though Vera’s run-in with the law may be suspenseful to the point of distraction, Leigh brilliantly evokes this confrontation as something of a threat to familial tradition. Vera Drake is not an easy sit, and though it’s not quite as euphoric as All or Nothing, I’m constantly amazed by how confrontational Leigh’s films can be without being in the least bit preachy or condescending. The film neither makes a case for abortion nor does it condemn men for politizing female bodies, and though its backdrop may be life in England before the Abortion Act of 1967, Vera Drake is really about what it means to be a good person in society and how easily and selfishly that goodness can be thwarted. Throughout the film, seemingly insignificant moments speak volumes about people’s lives. Compare Vera’s behavior to that of her finicky sister-in-law, whose difficulty conceiving a child blinds her to the motivations of the older woman’s actions, the implication of her scorn being that a woman who performs abortions can’t be happy for a woman who actually wants to have a child. 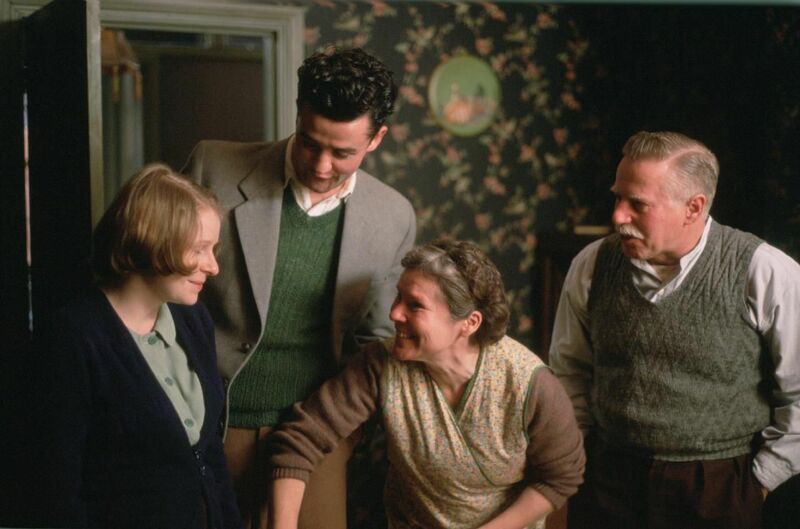 Like any good Leigh film, Vera Drake is about the nature of family, which is the same thing as the nature of humanity. Leigh’s obsession with conflating family tension with the problems of the world adds emotional layers to a scene where Vera is arrested in her home where she and her husband host their mousy daughter’s engagement party. What Staunton does with her face in this one scene is simply divine—it’s almost impossible to explain the gesture, but it’s impossible not to be moved by it. In one single, devastating moment, Vera’s perpetually chipper expression shatters into a million pieces. This is Staunton’s masterstroke. Demons resurface, tradition is broken, and both actress and camera evoke a nation coming to its knees. Indeed, there’s nothing worse than cutting the cord between a person and their humanity.